Battery operated and convenient to use. 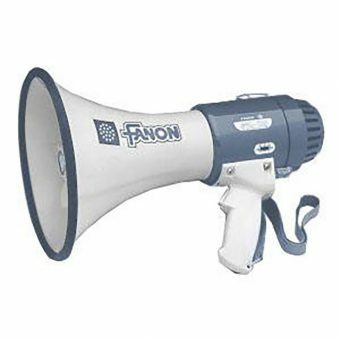 The high impact ABS plastic bell and weatherproof built-in microphone will give years of dependable use. This is their most popular unit with plenty of power and high-quality electronics for demanding situations and long-lasting durability. 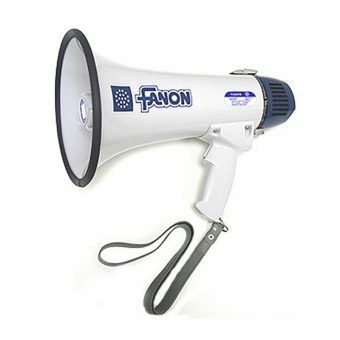 20 watts of power and durable construction will make you heard every time in any situation. 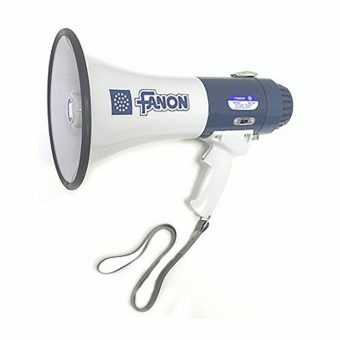 This is the top of the line in Fanon megaphones. 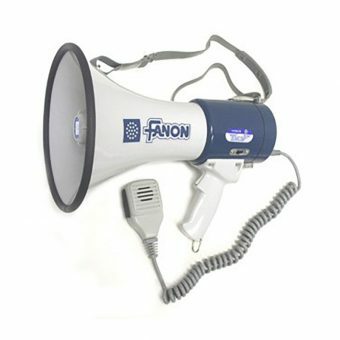 The hand-held microphone makes it easy to talk for longer periods without holding the megaphone in front of your face.